One of our places in Kent is Quebec House which was the childhood home of James Wolfe. Wolfe commanded the British Forces at the siege of Quebec and the Battle of the Plains of Abrahams. You can a short introductionary video about this interesting house below which boasts one of the largest Wolfe related collections. 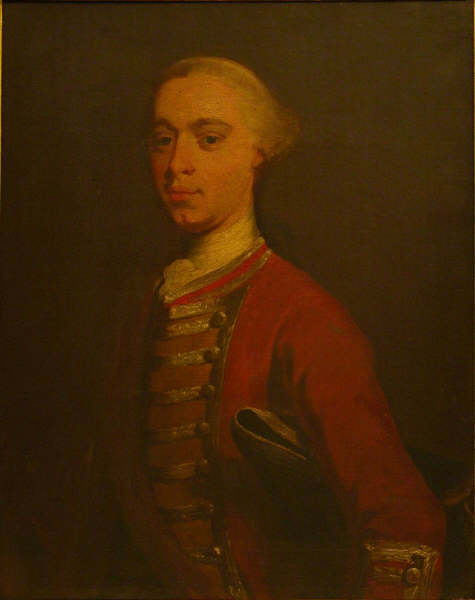 James Wolfe had joined his fathers regiment at 13th and by Quebec had already served in several campaigns. With the anniversary of Wolfe’s victory approaching this next week on the 13th September. I thought this would be an ideal apportunity to put a few highlights from the collection and do a post what would be Wolfe’s finest and final victory. James Wolfe was from a military family, his father was General Edward Wolfe and who had served in numerous campaigns including the War of Spanish Succession, the 1715 Jacobite Rebellion and the War of Jenkins Ear. 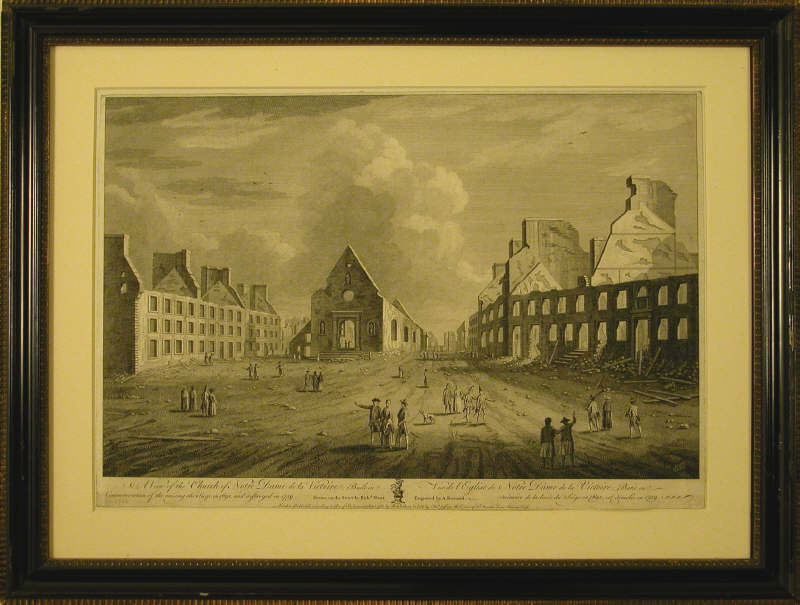 James himself joined his father regiment of 13 and by the time of Quebec had already fought in the War of Austrian Succesion, the 1745 Jacobite rebellion and the early stages of the 7 years war with France. 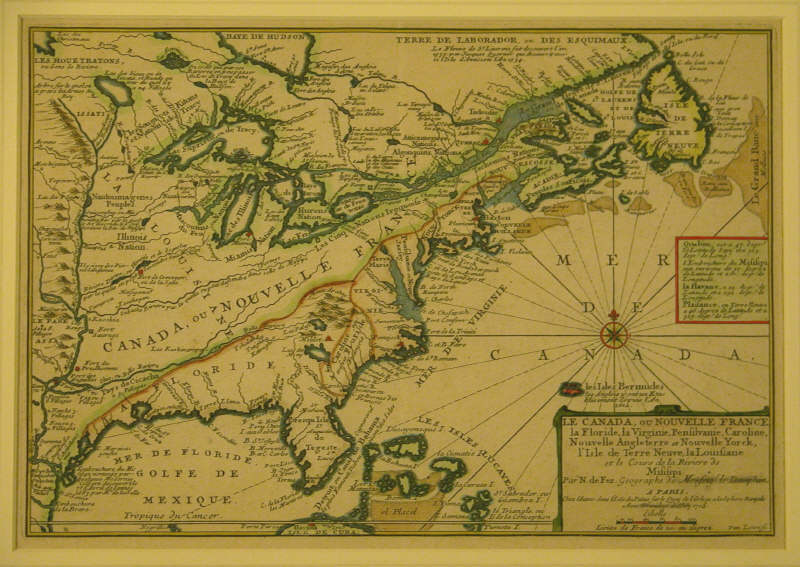 A map of Frances Territory in Canada, the battle of Quebec would see the begining of the end for French rule and allow the British to move against Montreal the following year. Having impressed William Pitt the Elder, he was raised the rank of Brigadier General and sent to fight in Canada, then known as New France. Having aquitted himself admirably at the seige and capture of Louisbourg, Wolfe was selected to lead British efforts against Quebec, the capital of New France and French Canada. 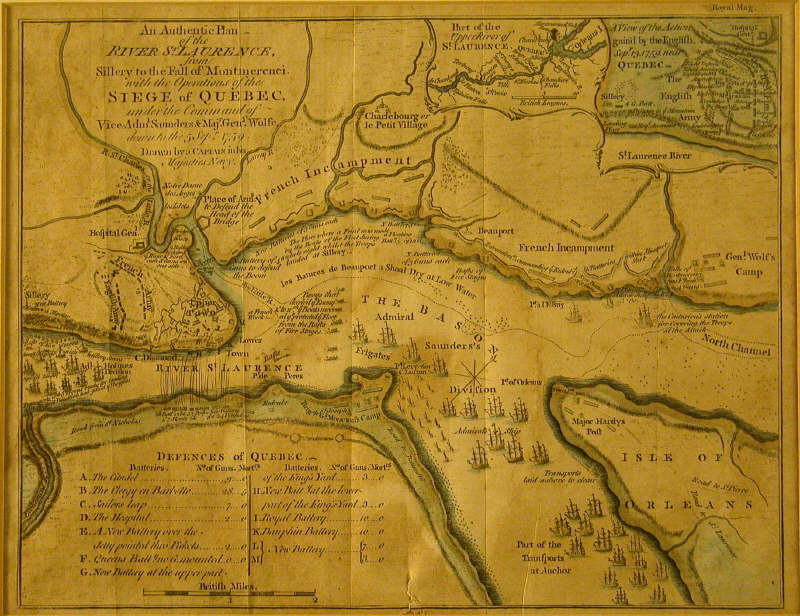 Having arrived at Quebec using the St.Lawrence river, Wolfes forces occupied the land around Quebec and started what would become a 3 months long siege. The British army under Wolfe’s command would sail up the St.Lawrence and lay siege to the city with the goal of siezing Quebec before Winter set in. Aware of Wolfe’s plan, the French Commander, the Marquis de Montcalm had several weeks to prepare defenses and Wolfe was forced the besiege the city for 3 month. The Battle on the Plains of Abrahams was the end of almost 3 months siege which had left many of the building in the city rubble. Following a 3 month bombardment of Quebec and an inconclusive action fought north of Quebec at Beaupont, Wolfe settled on an risky plan to land his troops ambhibiously below cliffs to the South West of Quebec before winter set in. His troops scaled the cliffs, known as the heights of Abraham. In the morning Montcalm was confronted by the British army on the Plains having scaled the heights he believed unscalable. The French Army advanced to meet the British who were held from firing until the last moment, their volley causing disruption and casualties in the French lines causing them to retreat. The battle had lasted only 15 minutes. The Marquis Montcalm, the commander of the French forces at Quebec would also die of his wounds the day following the fight. 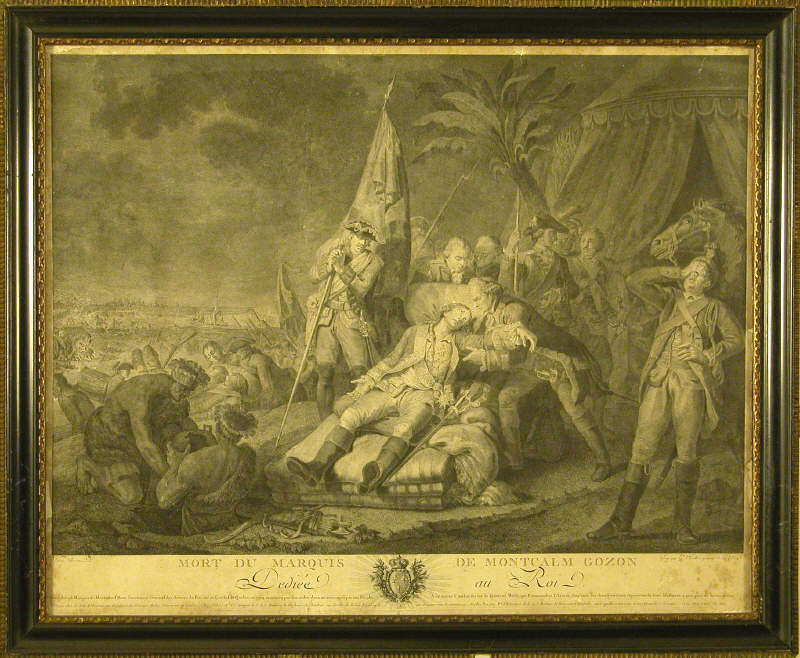 This print depicts his death in many ways similar to the Death of Wolfe, although the Marquis is shown in more comfort than his British counterpart. The battle is notable for both leaders dying, Wolfe dying within minutes of winning his most famous victory. The defeated Montcalm would die the next day from his wounds. Wolfe’s victory at Quebec would enable the British to push towards Montreal the following year and secure Canada for the British. Along with the victory in Quebec, there were British victories in india, at Minden in Europe and at Sea ending French hopes of invading the U.K. 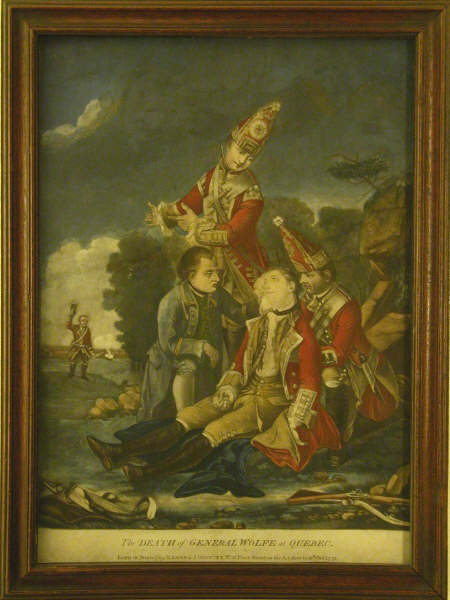 The Death of General Wolfe, after the version by Edward Penny. Penny's version is thought to be more accurate than the more famous painting by Benjamin West showing Wolfe's death. If you are interested in the Seven Years War, Quebec House is well worth a visit and has had installed a new exhibition this year recounting the story of the battle. Why not visit this weekend? Where Quebec House and the Town of Westerham will be holding a Soldier and Scarecrow weekend where re-enactors will be recreating the French and Indian Wars!